First we encounter what Langer calls the premature cognitive commitment, which refers to the mindless mindset formed upon first encounter with a stimulus. Upon a later encounter, the same mindset is triggered mindlessly again. She seems unaware that this very process of mindless repetition is the basis of the entire field of Neuro Linguistic Programming. It is called anchoring and is a very useful tool for teaching people to replace restrictive mindlessness with useful mindlessness. But the author strides blithely along, urging that people overcome their mindlessness and replace it with an unspecified mindfulness, while on the other hand, NLP'ers with a specified mindfulness utilize their anchors to help people make distinctions where useful and eliminate them where un-useful. 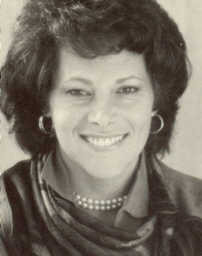 Langer's work is helpful, however, especially her efforts in nursing homes. In one study the elderly residents were given their choice of house plants to take care of. Follow-up studies showed dramatic improvement in their attitudes and their mortality rate. In study after study, she seems to wave her magic wand and the experimental groups improve. One wonders about the half of the population in the control group that fared less well every time. How much better if she had simply used the entire population for her experiments: then twice as many folks would have been much improved. But she is a scientist, not a therapist -- or is she? One never knows. 2.) People with dyslexia, by learning to question the order of even obvious letter sequences, are better in creative tasks which require breaking cultural mindsets. 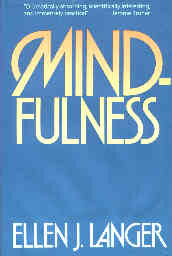 In its effects on aging, the workplace, creativity, and health, Langer probes for the existence of mindlessness and, finding it everywhere present, she suggests methods for promulgating its cure: mindfulness. If buggy whip manufacturers had defined their business as "providing a stimulant or catalyst to an energy source," they might have strived during the transition to automobile technology by producing turbo chargers or gasoline additives. If the heads of today's nursing homes were to read mindfully the research that Langer has documented here, salubrious effects could be expected for their clients. Always and again Langer's studies come back to the point that a mindset can lead us into error or away from solutions by providing a map of a territory that is no longer present. Hers is a useful book for reminding us of Korzybski's mindfulness dictum: the map is not the territory, it does not represent all the territory.